Brendan Maher is the only change to the Tipperary team to face Kilkenny in Sunday's Allianz HL final at Nowlan Park. The 2016 All-Ireland winning captain, who will line-out in midfield alongside Seamus Kennedy, is an indirect replacement for Tomas Hamill whom he came on as a substitute for during the extra-time victory against Limerick. Sideline cut specialist Ronan Maher reverts to wing-back after wearing the number nine jersey last weekend. Top scorer of the campaign with 5-60 to his name, Jason Forde spearheads the attack from full-forward. The Premier County will be hoping for a change of luck in Sunday's league final having lost three deciders to the Cats (2009, '13 and '14) since their last title in 2008 when they beat Galway at the Gaelic Grounds. 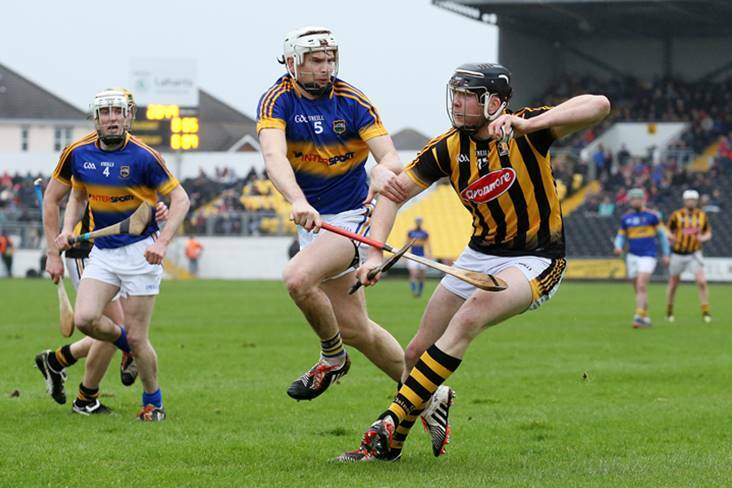 Tipperary (Allianz HL final v Kilkenny): Daragh Mooney; Alan Flynn, James Barry, Michael Cahill; Barry Heffernan, Padraic Maher, Ronan Maher; Brendan Maher, Seamus Kennedy; Sean Curran, Billy McCarthy, John McGrath; Michael Breen, Jason Forde, Willie Connors. Subs: Brian Hogan, Cathal Barrett, Ger Browne, Cian Darcy, Paudie Feehan, Tomas Hamill, Donagh Maher, Paul Maher, Sean O'Brien, John O'Dwyer, Mark Russell.